This gorgeous vanity light features a sophisticated design with metalwork finished in chrome and white alabaster glass. This gorgeous vanity light features a smooth flowing design with metalwork finished in brushed nickel and beautiful white glass shades. 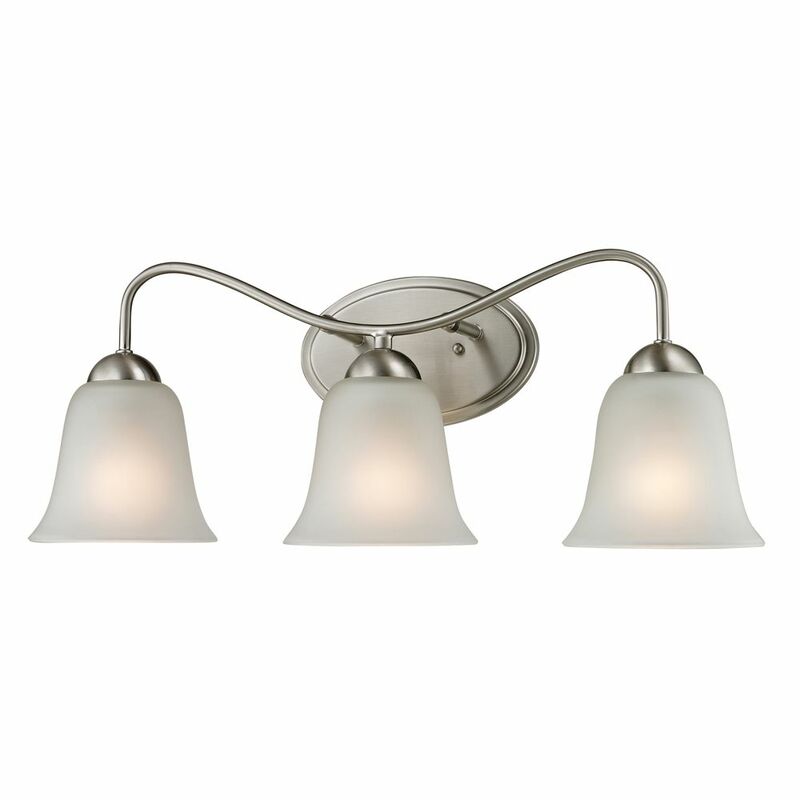 This vanity light features an arched bar which is finished in Brushed Nickel. It also features a unique glass diffuser. A distinctive design for any dicor.